In the fall, many churches embark on a stewardship campaign. These campaigns are well and good. There is nothing wrong with getting people to talk about money and pledging and responsible giving - especially in these times of finances being what they are. A woman is sitting on the river bank. The woman notices that someone in the river who is caught in the current and cannot swim. Jumping into the water she swims out and pulls the drowning man ashore. She looks again to see another drowning man. Aain, she swims out and pulls him ashore. After several minutes the woman sees another man in the river, and another and another. She rallies the men that she saved to help her pull others out, but there are too many people in the river who are fighting to stay afloat in the current. Stewardship campaigns can feel like we are jumping in to save the ministries that are struggling to stay afloat. We all jump in and pool our resources and energies to ensure that the ministries survive. We hear from people who have been saving jumping into the river and helping save ministries for years share their stories. And each year we expect that we will get more and more people ashore to help ensure that we do not run out of people on shore to help rescue the drowning. 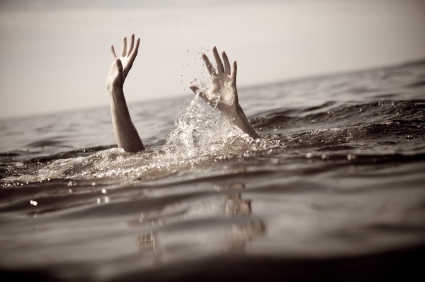 The thing about stewardship campaigns is that we reinforce the need for people to come ashore to save the drowning. We all feel that the stewardship campaign is important and cannot see why we would not stop. Saving the drowning feels really good. 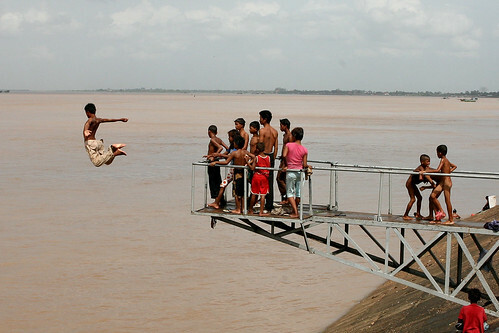 After some time, the woman decides to stop jumping into the river and saving people. Everyone is curious to know why the original hero stops saving people. "Where are you going?! We need you to help us pull people from the river! Don't you see these people are drowning!?" the crowd shouts. She replies, "I am going to go upstream and stop people from jumping into the river." What would it look like to place less emphasis on stewardship (rescuing the drowning) and focus on stopping people from jumping into the river in the first place? I think it would look like a Church that understands stewardship is important but it there is a more important "ship". If we focus on discipleship first and foremost, I wonder if stewardship takes care of itself. If we focus on discipleship, I wonder if worship takes care of itself? If we focus on stewardship then are we just treating a symptom, much like pulling people from a river, rather than addressing the source of the symptom?